One feather every designer wants to add to their hat is a design that could somehow help the physically challenged and Suhyun Kim can definitely add one to her hat. 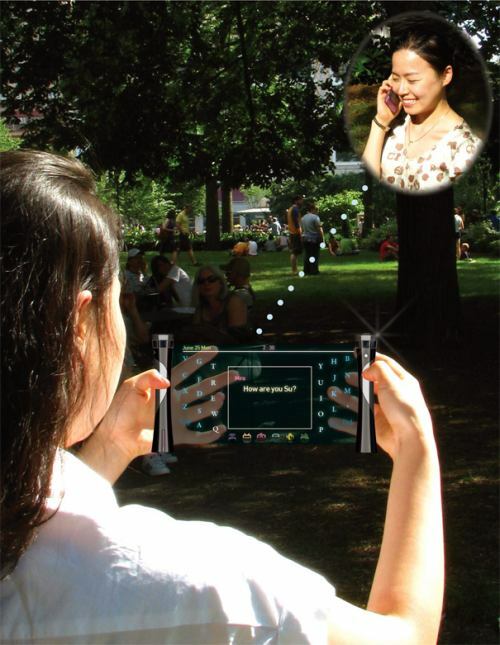 The concept of the visual phone aims at helping the deaf by converting text to speech and vice versa; and it does so in style. Unlike present devices this one doesn’t promise to ‘cure’ deafness but offers an easier means of communication with the hearing world. 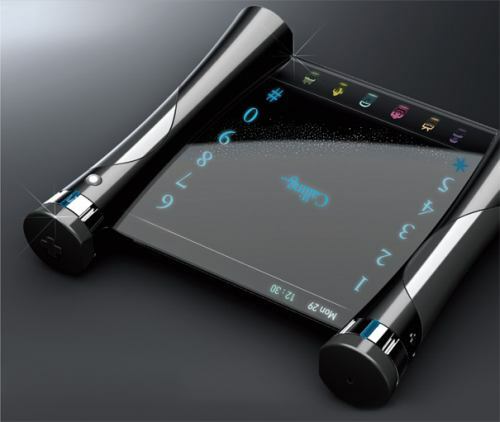 This concept phone looks like a modernized version of the ancient roman scroll and comes with what seems to be a completely transparent touch interface which actually makes typing too a lot more fun. Once the matter is typed the phone will then convert the text into a human voice (much like the text reader available on most mobiles); which is what the person at the other end hears; however the remarkable thing about it is that whatever one speaks gets converted into text that is displayed on the screen. Though this concept is really cool it does raise some questions as to, will the voice decoder be advanced enough recognize different pronunciations; and will it be limited to just the English language? After weighing the pros and cons of the gadget it still stands out as a great idea and with a little polishing work could be soon seen in a store near you. Another mobile concept worth looking at is the Nokia M31 concept.